Thank you for all your support this summer! We continue to push for economic opportunities and for the rights of Charlotteans. We've continued to build excitement and momentum as the summer progresses! We have the support of many key community and neighborhood leaders. And we are honored to welcome several recent endorsements, from organizations dedicated to Charlotte's future. LaunchProgress was founded in 2014 to elect a new generation of bold, progressive leaders for state and local offices. They believe change starts locally, and they are committed to building a bench of progressive leaders. 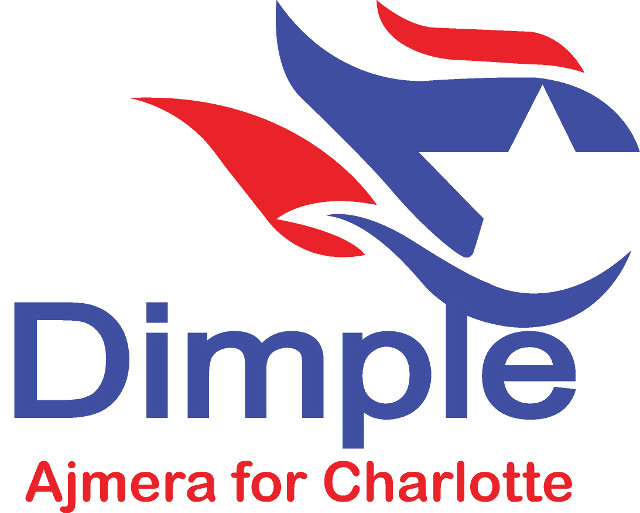 They endorse Councilwoman Dimple Ajmera because she is fighting for voting rights, high-quality education, environmental justice, and inclusive and welcoming communities. She's working hard to increase economic mobility in Charlotte, and bring investment to neighborhoods that have not received their fair share of city services. Since 1965, the Black Political Caucus has been the voice for the African-American community on issues ranging from education, economic development, and social policy. They promote and enhance the power and welfare of the Black community through advocacy and education and a consistent voice in matters of education; economics; cultural, social, civic welfare; and political activity within Charlotte-Mecklenburg. #VoteProChoice is an active community of committed prochoice voters, electing representatives who reflect their values. "We are a prochoice nation. Let's vote like one." I would like to thank these organizations for their support and belief in our cause. But it's your support on election day that makes it happen. Please considering contributing to the campaign. We use that money to register voters, increase turnout, and give Charlotte a voice. With your help, we can drive economic opportunity and fight for Charlotte values.